This Tiramisu with Pound Cake is a rich and elegant dessert. It has bold flavors of coffee and amaretto to warm you up in winter. 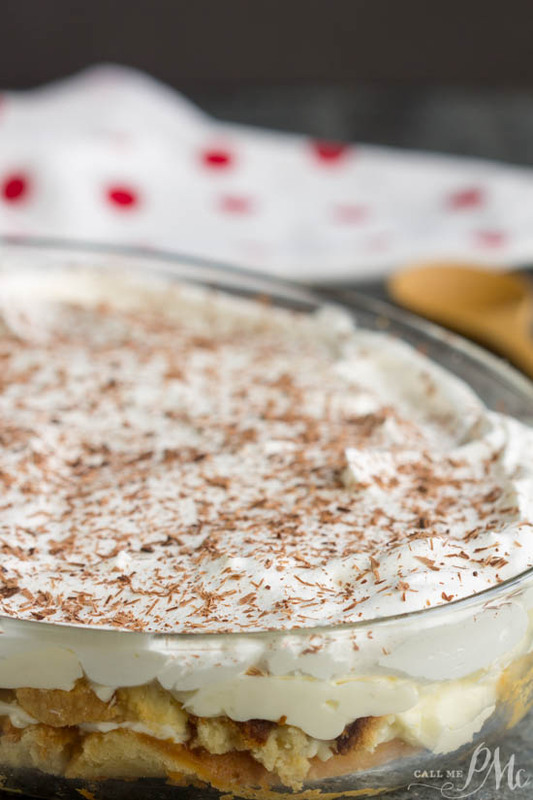 I took the classic Italian tiramisu dessert revamped it the Southern way. 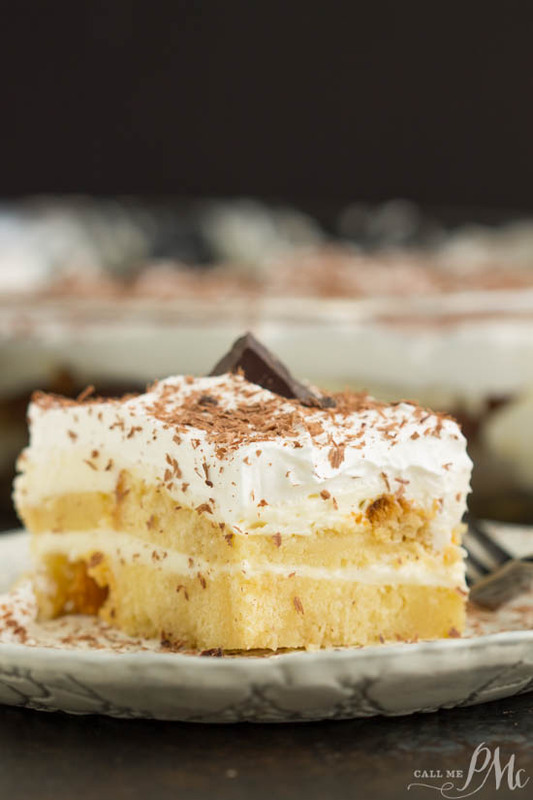 My version has layers of a cream cheese mixture alternate with fluffy pound cake soaked with coffee and amaretto make this an unforgettable dessert. The creamy layer is super creamy, velvety and delicious! It’s made with cream cheese that’s whipped to make it fluffy. Then, sugar and amaretto are added for flavor. Instead of ladyfingers, I used pound cake slices for the cake layer. If you are not familiar with my pound cakes, I have a series of Pound Cakes that I have reviewed. You can find them here. I used my Sour Cream Pound Cake cut into 1-inch slices. 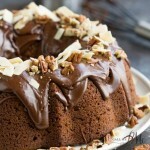 This is a great way to use pound cake that may have dried out a little. You can use any ‘plain’ pound cake recipe for this recipe. Of course, you could also purchase a pound cake, but they are never as good to me. I used cream cheese for the middle layer. I wanted something that most everyone would have on hand. You can use traditional ricotta. However, I did make the whipped cream of the top. *You can use store-bought ‘Cool Whip’. To make Whipped Cream, in the bowl of an electric mixer, add 1 cup cold heavy whipping cream, 2 tablespoons sugar (honey or maple syrup), and ½ teaspoon vanilla. Pour heavy whipping cream, sugar and vanilla into the cold bowl and whisk on high speed until medium to stiff peaks form, about 1 minute. Do not overbeat! 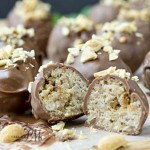 The first time I made this, I was hesitant to use one cup of the coffee mixture. To get that nice flavor, you really need to use the entire amount to saturate the cake layers. I used a potato peeler to shave the chocolate. 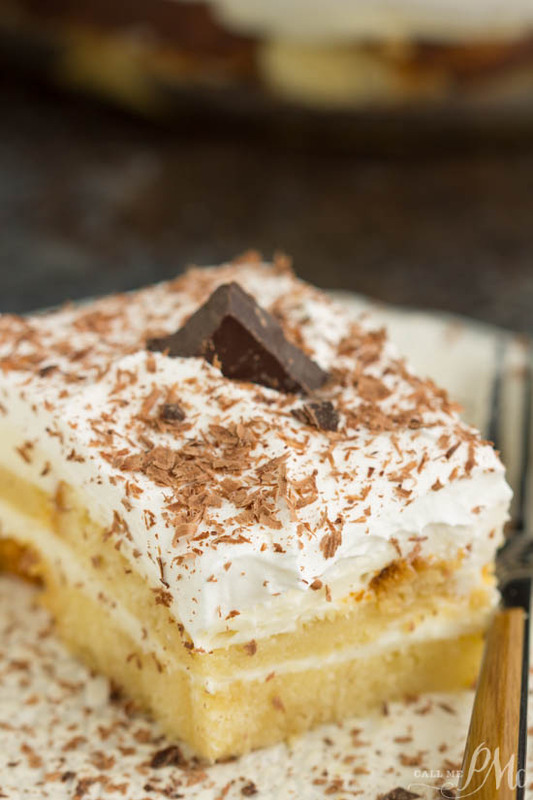 **A small chocolate Hershey bar is enough to decorate the top of your Tiramisu. 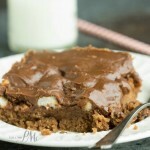 Sharing this recipe with other at The Country Cook and Southern Bite. A classic Italian dessert gets a Southern twist with pound cake slices instead of ladyfingers. Ideal for a quick dessert using old pound cake or simply purchase a store bought pound cake, this recipe is a crowd pleaser! In a small bowl, mix together the coffee and 1 tablespoon sugar. In a medium bowl beat the cream cheese, remaining sugar, and amaretto. Fold in 1 cup whipped cream. In a 9x13 inch baking dish, place one layer of pound cake slices on the bottom. Cut the pieces to make them fit as needed. Brush or spoon over 1/2 of the coffee mixture as evenly as possible. Top with 1/2 of the cream cheese mixture. Repeat layers with pound cake, coffee mixture, and cream cheese mixture. Top the last cream cheese layer with the rest of the whipped cream mixture. Cover and chill 12 to 24 hours before serving. 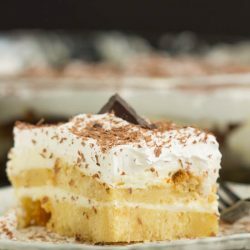 I love Tiramisu but lady fingers are not easy to find. This sounds like a wonderful alternative. Pinned.